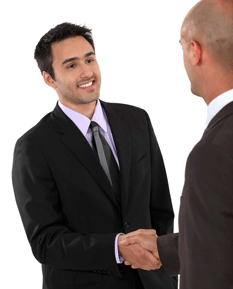 You only have one opportunity to make a great first impression. You dress for success before meeting a potential client, why should your business be any different? Make a lasting first impression for you and your business with professional and consistent marketing materials. Your marketing materials are on the front line making an impression for your business. The look of just one piece can present your brand and tell your customers all they need to know about your company and your expertise – all in the space of a few seconds! Again, it’s those vital first impressions that can draw people in or repel them forever. Each and every piece of material, whether it is print or online, should represent your brand, your promise, and your value authentically and integrity. A cohesive marketing strategy and strong, consistent visual branding will not only help you communicate feelings of stability, credibility, and dependability, but they will also help the recipient make an important decision: keep or discard? That they are well-designed and communicate a clear, compelling message and call to action. A big round of applause goes out to Gus Lopez and Betsy Homan for all of their hard work in organizing the BNI River City Referrals Visitor’s Day Annual Event. On April 24th, the River City Referrals hosted their annual visitor’s day meeting and breakfast at the Pericos Restaurant, off of Hwy 281 and Sonterra Drive. Along with BNI Directors and chapter members, 26 guests were reported to have attended and the chapter received five applications for membership. If you missed the Visitor’s Day Event, but are interested in joining BNI, you may visit the River City Referrals BNI chapter meeting any Tuesday morning at 7:00 am at the Pericos Restaurant. Bring plenty of business cards to share! We as consumers see so many logos that we don’t often consciously think about them. One of the best investments a new company should make, is to develop an unique, professional logo to represent not only their product or services, but the company itself. The best logos are memorable, showcasing the company’s product or using an eye-catching design that helps customers remember the business. The importance of a good logo is often overlooked by businesses, either it is overshadowed by other components of the company or there’s not a budget allowance for it. Why is it so important for a company to have a good logo design behind their brand? A good brand logo will represent a business as well as their products and services, especially in the absences of a real person. A tremendous amount of thought and research should go into designing a logo. Basic marketing elements should be considered – who is the target market? Who are the company’s competitors and how best to position the company. A logo is not only memorable, representing the company’s product, but is represents the company’s reputation. The company’s logo is usually the first impression that a consumer has of the company and the one that last the longest. Logos should be designed with longevity in mind. Once a logo is presented as a symbol of a company, it should not be changed. The logo is building company awareness each time it is viewed. Logos can and often are updated to reflect the company’s evolution or a new product or service, but should never be drastically altered. Take the initial time upfront in designing a logo, to assure that the logo is a symbol that will be used for the lifespan of the company. When a company’s logo appears on business cards, websites, letterheads, or commercials, customers connect a company with a logo. The human mind does not always remember practical snippets of information, but the human mind is coded to remember images. Eye-catching logos make an imprint on the brain, and customers remember this logo design and connect it with the company and its services. Designing a remarkable logo is of paramount importance for all businesses large and small. Great logos make a difference, especially in E-commerce. In addition to helping customers remember the company and its products, logos give companies a sense of professionalism and credibility. Customers are impressed when a business has a professional-looking logo. Imagine if Apple or Microsoft didn’t have logos and relied instead upon printed text alone to promote their products? What would Apple be without their famous logo? There are physical characteristics of logos that must be met, particularly in printing. Logos that are too complicated or “artsy” may not reproduce well. Logos need to be vector-based artwork, with the ability to be enlarged or reduced as needed by all mediums. Various formats of the logo should be developed to meet these needs and should be included in branding packages. The best logos are simple and yet precise. They must portray a sense of professionalism, showcasing the company’s product or using an eye-catching design that helps customers remember the business. Logos should be seen as an important first investment of a company, to build company awareness and reputation.